This post will be updated as I find out interesting tidbits while working with my pfSense. Usually this will be getting something in the house to work as expected with out opening up the firewall to everything. UPDATE: The solution listed below no longer works. 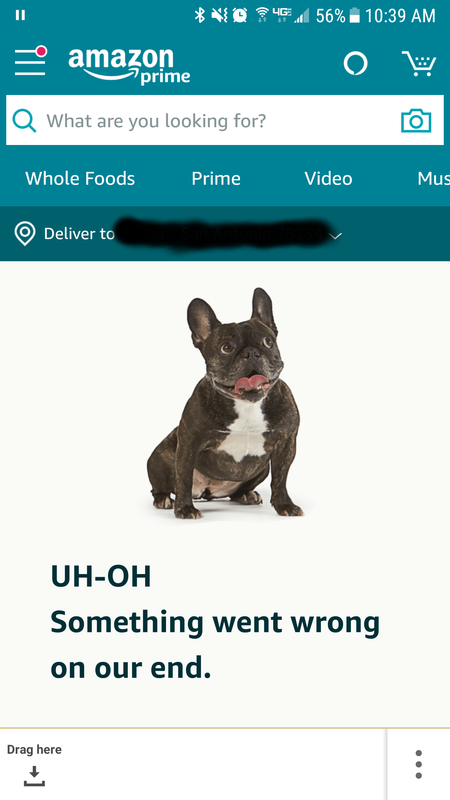 The Amazon Shopping App on Android calls out to some Amazon ad services that when blocked, result in an unusable app. 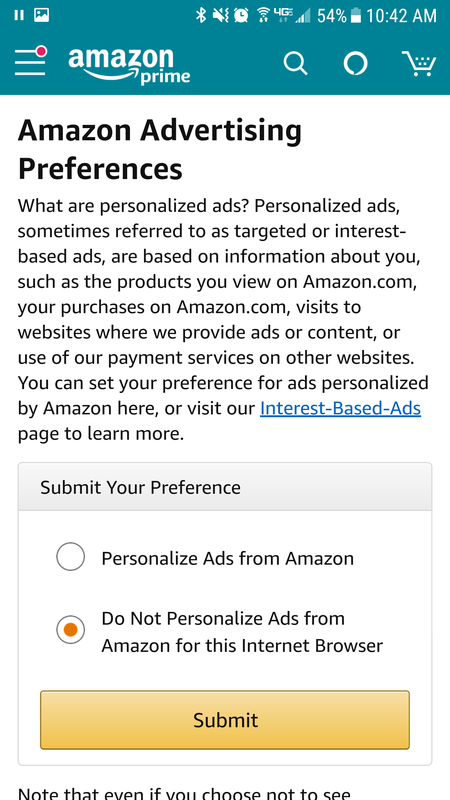 To circumvent this issue, you have to turn off personalized ads on a per browser basis. To do this in the app go to the menu --> Your Account --> Advertising Preferences (third from bottom) --> select the appropriate option. UPDATE: This no longer seems to work. Recently got a new Google Pixel 3 XL. But the Messenger app had some issues. It implements RCS (think iMessage) which allows for web access to your messages. With my firewall configuration, this did not work out of the box. 1) I had to enable IPv6. Not a huge issue there. 2) RCS communicates to 64.9.241.175 on port 5061 it appears. So this rule had to be created. 3) To use the GIF functionality in Messenger, the app checks internet connectivity on port 53 to Google's DNS . (8.8.8.8). Even though I was connected to the internet, since I blocked this traffic, the app continually said I was offline. With a pass rule for this traffic, everything works fine.